The US is a great country. The freedoms there are wonderful, the people are warm, the "can do" attitude is great (you'd be surprised how American the "can do" attitude is) and when there's a natural disaster in the world, Americans are often the reaching deep into their pockets to help others. For all of the negative press the US receives, there are a lot of good things about the country. And then there are the other bits. It used to be that Americans were moving to other countries for adventure or love. Now the motivation to be an expat seems to be changing. I'm getting a lot of email from people saying they can't find a job or they're worried about the future of America. In fact, as far as I can tell, US expats are now starting to feel the push factors of emigration far more than in the past. Emigration for US expats used to be about adventure, love, or a new job abroad. More and more it seems to be about Americans trying to get out. And why would they? Well, here are ten reasons. For the first time ever, the average Canadian is wealthier than the average American. Half of all Americans are now low income or in poverty. For the first time since the Great Depression, more Mexicans are leaving the US than entering it. The percentage of young Americans graduating from university has dropped from first to twelfth place in the world (pdf). The American dream of upwards mobility turns out to be true in just about every other major country except the US. 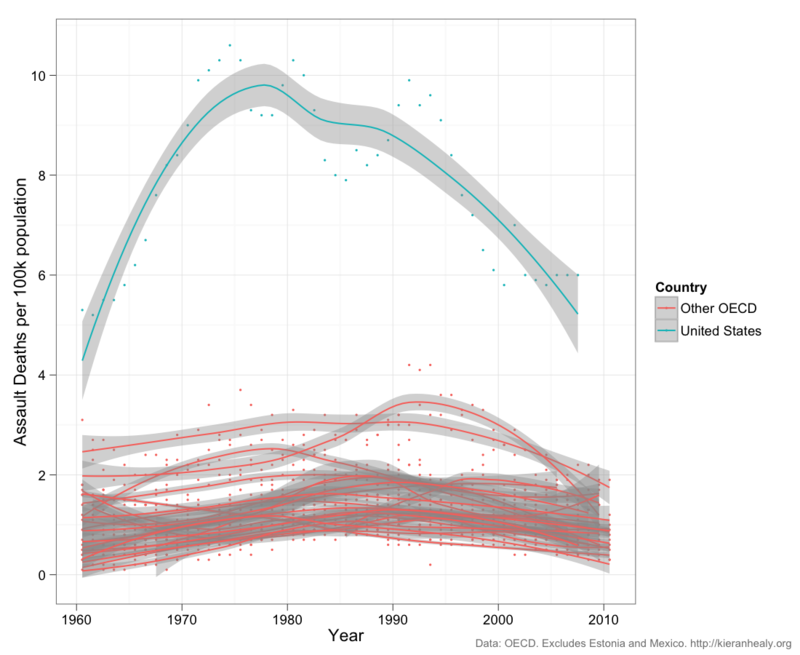 The US has gone from one of the developed world's lowest infant mortality rates to one of the highest. US median income has fallen 7% in the past decade. Personal bankruptcies have quadrupled since 1980 (pdf). 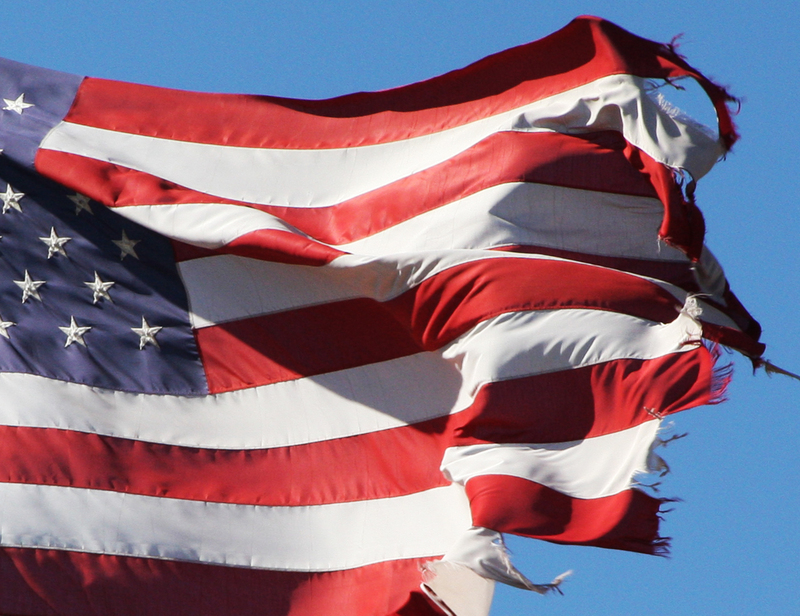 The US is again threatening to default on its debt and ruin its AAA credit rating. And let's talk about violence. No matter how you slice it, the US doesn't look as nice as it once did ... unless you live in the echo chamber of the US. If you don't get a chance to see the rest of the world first hand, it might be hard to appreciate just how nice it is. Yes, here in Europe you'll find that you live in a smaller flat, but at three times the population density, that's to be understood. Yes, here in Europe you'll find that you pay more in taxes, but when you add in the cost of your university degree, medical care and all of the other costs that are merged directly into much of Europe's taxes, I'm hard-pressed to say that your costs are that much lower in the US. Ah, but you argue, I heard that average income in the US has been going up! Sure, sit down next to one of the Koch brothers and you are both, on average, multi-billionaires. That doesn't buy you a cup of coffee. And it turns out that the "average income" growth has seen the wealthiest 1% of Americans taking in 93% of income growth. You're still getting poorer. One person who wrote to me has been out of work for three years. Another person is graduating college with debt and no job prospects. Frankly, I wouldn't have believed this a decade ago, but others are noticing this trend. People aren't just seeking adventure, they're trying to escape. Just wanted to say I'm seeing the same thing. I have encountered more than one American here in Paris who is "activating" their rights to EU citizenship under some countries' jus sanguinis laws. You give a lot of the reasons that "push' is becoming a factor but I'd add a couple more: looking for a more "family-friendly" country with better school systems and opportunity (I hear that a lot from people who want to go to Asia). Absolutely on target! I have always wanted to live in another country and experience the total cultural immersion. I anticipated it would be something we could do as a "time out" for a year or two after retirement. Instead, following the economic meltdown of 2009, we escaped as quickly as we could to Panama because we simply couldn't afford to stay in the US. My husband, with a newly minted Master's Degree, could only find work as a bicycle courier and I turned back to freelancing because I couldn't get hired anywhere. Here in Panama we're enjoying a relatively stress-free life and we're able to live within our means. I'm another one in the 'looking to escape' category. In my case, nearing retirement age, the goal is to find some place affordable and civilized. Civilized not in the sense of having fancy stuff, but in the sense of a community where people are still quietly thriving instead of being pillaged. Of course in my dreams I make it to Paris where the food is incredible, but if I wind up living on poutine in Montreal that's okay too. "The other good point is that Canada is now, for the first time in its history, receiving significantly more immigration from the United States than it is losing." in 1963, 1 US-Dollar equaled 4.30 Swiss Francs. in 1973, Most bigger US Firms have started to move Manufacturing to Far East. Because of 'untied' Exchange Rates, 1 US-Dollar was handled at 3.60 Swiss Francs. in 1983, Ronald Reagan, the Man who opened the Cinese Door to cheap labour. 1 US-Dollar was handled at 2.00 Swiss Francs. 1 US-Dollar was handled at 1.51 Swiss Francs. in 2003, for the first time, the US was attacked within their own borders. 1 US-Dollar was handled at 1.35 Swiss Francs. in 2013, presently, 1 US-Dollar equals about 0.90 Swiss Francs. US-based Money- and Job- creating Manufacturing is either Military Style High Tech, or then Computing, enabling Companies to manufacture the Goods anywhere cheaper, better, faster, in order to fullfill "Prognostics" of some "Boozo-brains" at the Wall Street. If this keeps on, going like this, in 10 Years, the USA will be downgraded to the status of a developping Country. Somehow I fear, such would have very great consequences for the whole World. I am not so sure anymore, if the meaning of 'free capitalism' has not been stressed by the Wall Street Freaks so much, that it is hard to believe, that US Governement, States or whoever, ever had or ever will have any Control over such 'Instutitions', 'Organisations' and/or 'Operations'. A System, actually based on such a 'High Risk' Menatlity, as shown during the past 3 Years, is unlikely 'the 'choosen Environment' for anyone without a big box of bucks. The World is changing fast, very fast. Human Kind will not change. In Contrary. As more 'independent' we individually get, as less 'common Rules' apply. What Meaning could 'christian' rules possibly have for muslims. They don't even have much meaning to christians anymore. What, in the contrary, would a christian know about the Sharia, exept from what is published, mosty in boulevard magazines?! What about all the others!? How should we get something like a COMMON CULTURE, as long as the cultures we have are everything, but compatible. just to get the Wall Street Yournal online with hourly News about Stocks, changing for no reason exept to give bankers a chance to do something with the working Man's Pension Found.